Optical technology is essential to communications and medical technology. K.K. Sharma has written a comprehensive volume on optics. Beginning with introductory ideas and equations, Sharma takes the reader through the world of optics detailing problems encountered, advanced subjects, and actual applications. 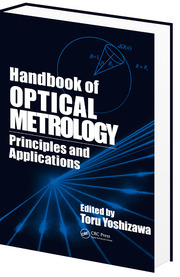 Elegantly written, this book rigorously examines optics with over 300 illustrations and several problems in each chapter. The book begins with light propagation in anisotropic media considered much later in most books. Sharma has started with this because it provides a more general and beautiful example of light propagation. Nearly one third of the book deals with applications of optics. This book includes the most up-to date results present at Joint Conference on Ultrafast Optics V and Applications of High Field and short Wavelength Sources XI. The volume contains plenary and invited contributions together with carefully selected regular contributions. This book aims at the highest level of presentation to make it useful as a reference for those working in the field. This new edition is intended for a one semester course in optics for juniors and seniors in science and engineering; it uses scripts from Maple, MathCad, Mathematica, and MATLAB provide a simulated laboratory where students can learn by exploration and discovery instead of passive absorption. 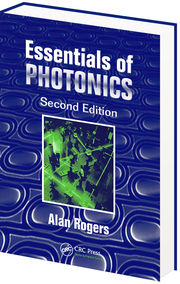 The text covers all the standard topics of a traditional optics course, including: geometrical optics and aberration, interference and diffraction, coherence, Maxwell's equations, wave guides and propagating modes, blackbody radiation, atomic emission and lasers, optical properties of materials, Fourier transforms and FT spectroscopy, image formation, and holography. It contains step by step derivations of all basic formulas in geometrical, wave and Fourier optics. Since the discovery of the lasers in 1960 and optical fibers in 1970, optics underwent deep changes which accentuated its multi-field character. This work covers essential concepts of comprehension and reports the great progress of current knowledge in optics. The method of presentation is inspired by Richard Feynman, with an emphasis on "telling" optics, rather than deducing it from fundamental laws. For its excellent teaching style, the book received the Arnulf-Francon Award by the French Optical Society. The concepts are formulated in a way such that the necessary mathematical tools do not hinder comprehension of the phenomena. Global in vision, the book can also be used as a reference. In addition to the traditional aspects of optics, it includes the tools and methods currently used by researchers and engineers as well as explanation and implications of the most recent developments. Lens Design Fundamentals provides the skills and knowledge to develop practical lenses needed for the ever emerging variety of 21st-century applications. Continuing to focus on fundamental methods and procedures of lens design, this revision of a classic modernizes symbology and nomenclature, expands the aberration study to include the transverse and wave forms, enlarges the discussion of three-mirror tilted and decentered systems, and explores modulation transfer function and diffraction-based aberrations in the optimization process. 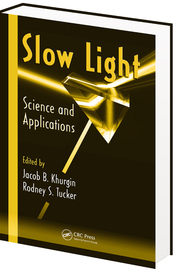 Reflecting recent research, Slow Light: Science and Applications presents a comprehensive introduction to slow light and its potential applications, including storage, switching, DOD applications, and nonlinear optics. The book covers fundamentals of slow light in various media, including atomic media, semiconductors, fibers, and photonic structures. Leading authorities in such diverse fields as atomic vapor spectroscopy, fiber amplifiers, and integrated optics provide an interdisciplinary perspective. They uncover potential applications in both linear and nonlinear optics. Assembling an international team of experts, this book reports on the progress in the rapidly growing field of monolithic micro- and nano-resonators. 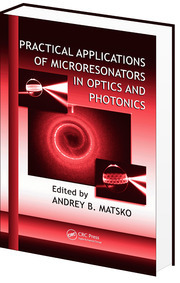 The book opens with a chapter on photonic crystal-based resonators (nanocavities). It goes on to describe resonators in which the closed trajectories of light are supported by any variety of total internal reflection in curved and polygonal transparent dielectric structures. The book also covers distributed feedback microresonators for slow light, controllable dispersion, and enhanced nonlinearity. A portion of coverage is dedicated to the unique properties of resonators, which are extremely efficient tools when conducting multiple applications. 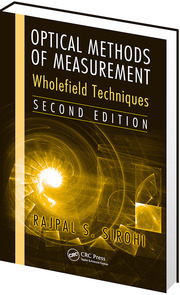 Optical Methods of Measurement: Wholefield Techniques, Second Edition provides a comprehensive collection of wholefield optical measurement techniques for engineering applications. Along with the reorganization of contents, this edition includes a new chapter on optical interference, new material on nondiffracting and singular beams and their applications, and updated bibliography and additional reading sections.